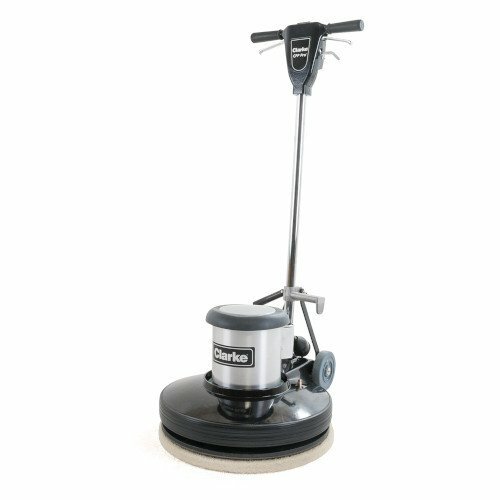 The CFP Pro Series floor polishers are rugged, high powered machines built for years of use in a wide range of applications. With easy-to-use fingertip controls and multiple safety features, such as handle-mounted safety switch, and a 50 foot yellow power cord, these all metal construction machines are designed for heavy duty daily use. The handle lock can be actuated by foot, and there is a convenient cord wrap for power cord storage when not in use. Unmatched in premium features and offer the highest performance, priced at great value. 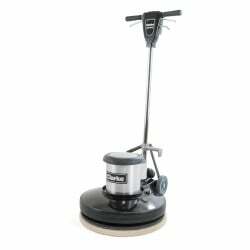 This unit is a 20" cleaning path, 1.5 HP AC motor with dual capacitor for extra starting power. Transmission is the full gear width tripple planitary system for extra strength. Powder coated deck, 50' yellow power cord with hospital grade plug, 65dB A sound, extra wide wheel stance for eaiser transportation. 13 Amp power draw under normal applications. An unbelievable 5 year warranty on housing and motor.